Categories: 28mm plastic & metal Figures, North American Range. unassembled and unpainted, gluing may be required on some parts. Named after its former owners Wilmer and Virginia McLean, McLean House served as the location of the surrender of Robert E. Lee to General Ulysses S. Grant following the Battle of Appomattox Court House on April 9, 1865. Figures not included but shown for scale comparison purposes only. where appropriate. The MDF wood is unpainted. Painting is optional, we think that a quick wash of ink will be enough for most gamers but of course, you can add more detail if you prefer. 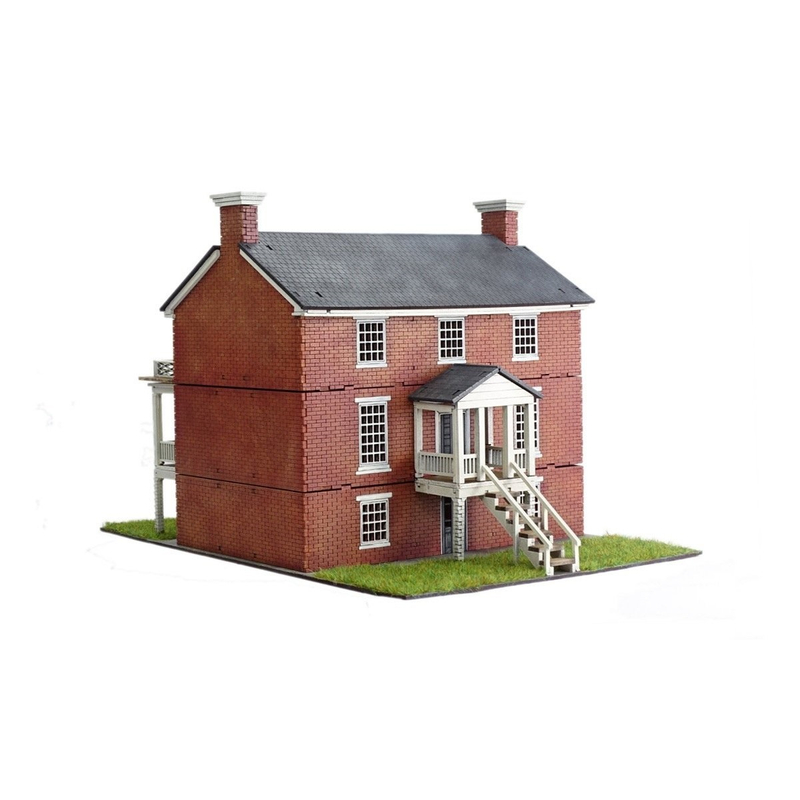 The buildings look great with our range of Artizan and Warlord AWI figures – check out my shop for the range available. 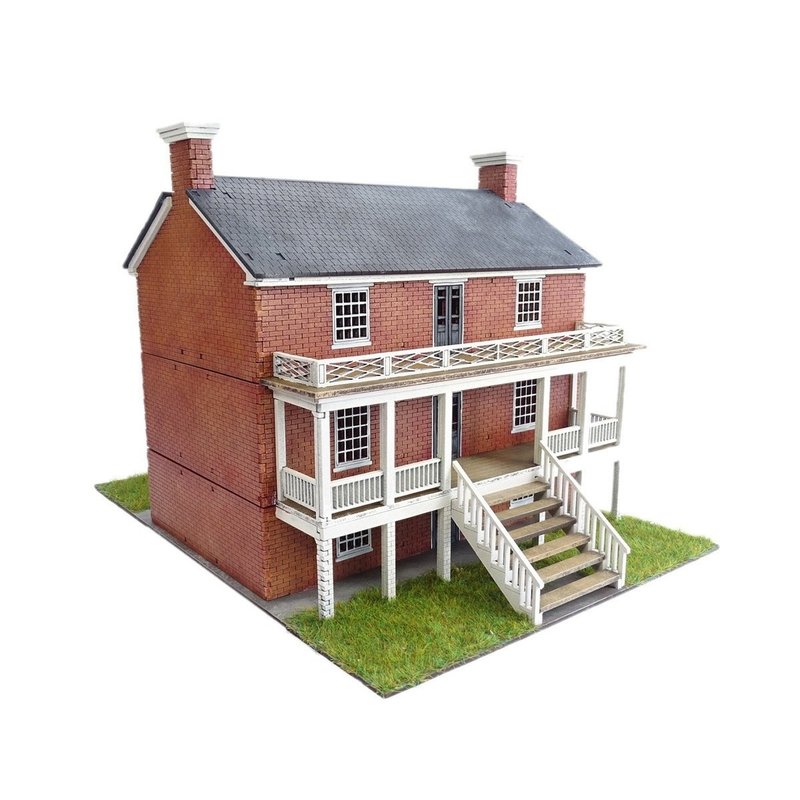 We also sell a variety of fences, barrels to add as accessories to add detail and realism to your model. If you need glue for your models, I sell Speedbond PVA Adhesive, Revell polystyrene glue and a range of super glues and other adhesives. They can be found in the ‘Arcane scenery’ and ‘Glues, Fillers, Paints and Tools’ categories of my shop.